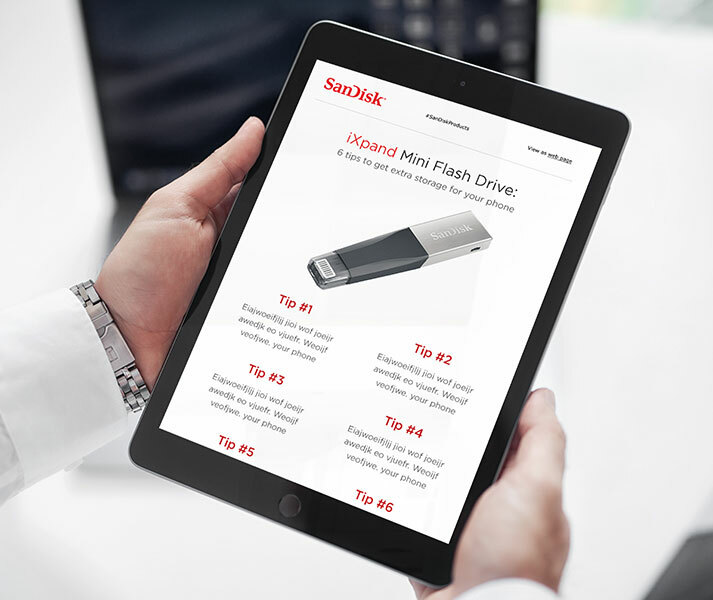 For years, memory storage company, SanDisk, has relied on us for the design, development, and testing of their direct marketing HTML emails. 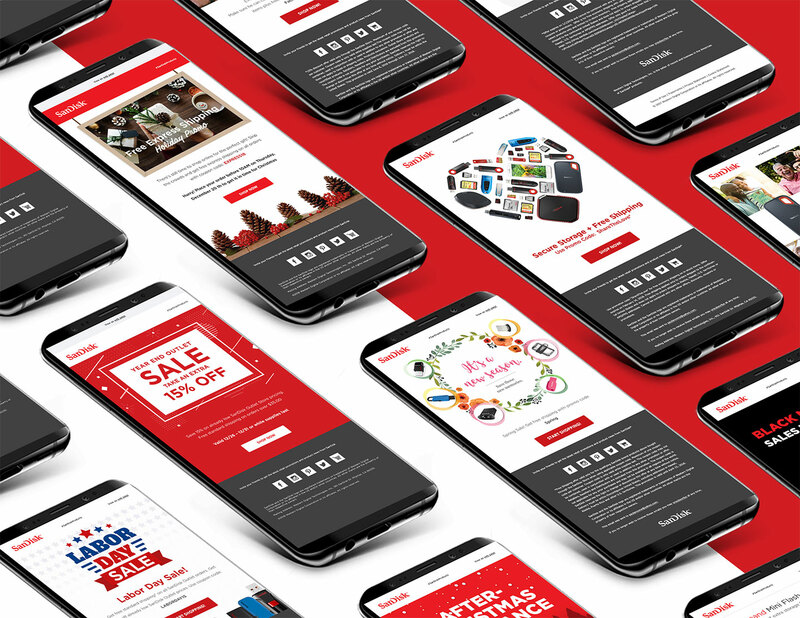 Their team provides us with content and we produce design options, refine as needed, build the emails in Marketo, and test in Litmus, Email on Acid, and an array of physical devices/configurations. Their work is great. I’m continually impressed with their commitment to quality, and efforts towards meeting deadlines and budget.